For the past six years, families who have lost a loved one have been brought together from across the country at special, commemorative events by the Native Women’s Association of Canada (NWAC). Known as ‘Family Gatherings,’ they’re an opportunity to honour a missing or murdered Aboriginal female family member, to ‘give voice’ to their story and share their journeys with one another. 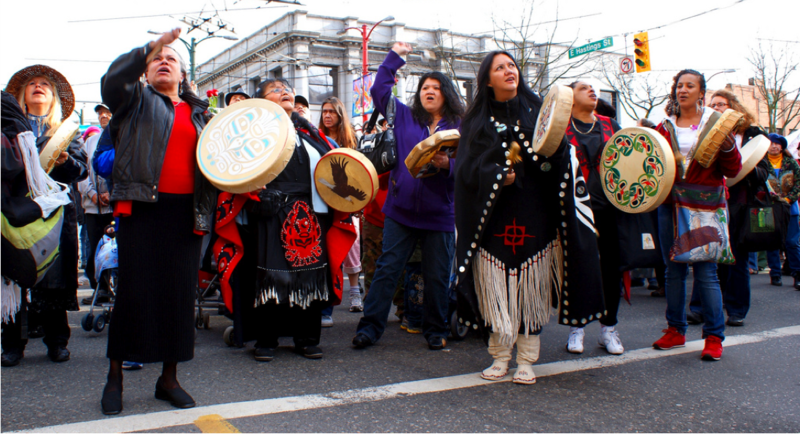 NWAC hosted the first gathering in 2005 as part of “Sisters in Spirit” (SIS), a largely educational initiative that also developed and maintained a database of the hundreds of missing or murdered Aboriginal women and girls in Canada. While the new campaign eliminated the database and limited much of the outright advocacy of SIS — changes that prompted much protest and condemnation by victims’ families and politicians — the family gatherings survived (the next one is scheduled for Jan. 27-29 in Ottawa). But it turns out that was good news only for some families. Among ‘non-invitees’ like Sue Martin, those letters have proven controversial. 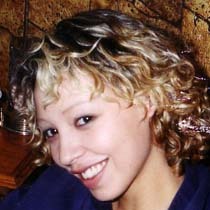 Martin’s daughter Terrie Ann Dauphinais was murdered in 2002. “To receive a letter like that kinda threw us over the edge,” says Martin. Furious over the perceived snub, Martin asked NWAC to remove her daughter’s name from their database and told the organization that they are no longer to use her story. At least one other family has followed suit. Bridget Tolley of Kitigan Zibi, QC received the same package from NWAC over the holidays. Her mother Gladys Tolley was struck and killed by a Sûreté du Québec cruiser in 2001. Gladys Radek is the aunt of Tamara Chipman, a woman who disappeared in 2005 along the Highway of Tears in northern British Columbia. Radek also received a non-invite from NWAC. The letters coincide with a tumultuous time for NWAC. The past two years have seen the ending of Sisters in Spirit after a very public and political battle for new funding; it’s also seen a shift in leadership in the election of a new president, Jeannette Corbiere-Lavell. That instability has left some family members questioning the strength of NWAC’s political voice, overall leadership, and commitment to the cause. Tolley is a co-founder of Families of Sisters in Spirit (FSIS), a non-profit group meant to support the families of missing or murdered Aboriginal women and girls. It was while SIS awaited word on whether its funding would be renewed that FSIS formed. According to Tolley, as FSIS fought to keep SIS alive throughout this period, NWAC began to grow quieter. Tolley says this caused tension and division. Irene Goodwin is the Director of Evidence to Action. She admits it was bad timing on NWAC’s part to send out the non-invites, but denies there was any negative or fearful motivation behind them. “One of the things that was pointed out in previous family gatherings was the lack of balance from the four directions,” she says. She applauds the work being done on the ground, especially by Families of Sisters in Spirit. “More needs to be done and we certainly do support our grassroots organizations. (But) we can’t be dealing with the issue of violence by poking at each other,” she says. Del C. Anaquod, a professor of Indigenous Studies at the First Nations University of Canada in Regina, says that, in any given organization or community, internal debate and dissent is healthy and demonstrates democracy. But he also acknowledges the fine line aboriginal organizations have to walk when it comes to funding. “I think everyone knows [that] who provides the money, many times has the influence or calls the shots,” says Anaquod. Radek agrees that most organizations won’t bite the hand that feeds them and that is why grassroots organizations are key. For Tolley, she believes the fight must go on for the families of the missing and murdered despite the government bureaucracy. “We did fifty-two events in the past year for Families of Sisters in Spirit,” adds Tolley. “I wish there was some way we could all work together.” Still, Tolley admits she’s grateful NWAC is able to bring the families together. Goodwin says NWAC has plans to further develop these relationships amongst family members through a mentorship program. It’s a scheduled agenda item for this weekend’s gathering. I am glad that the leaders at NWAC have recognized that there are more families grieving about their loved ones than the certain families that LIKE to be in the spotlight. This is a move in a positive direction. Sometimes when it is the same people squawking over and over about the same thing, the cause becomes common-place and the average person tends to tune out what is being said. This is especially the case when a loved one has been murdered and the remaining family keep slandering and harassing a person who hasn’t been charged. The motivation may or may not be political but sometimes for an organization to become validated and to be taken seriously, they may have to shift their thinking. I believe this is what NWAC has done. NWAC has a very serious message to get out to the public and have the right to choose who will represent them.